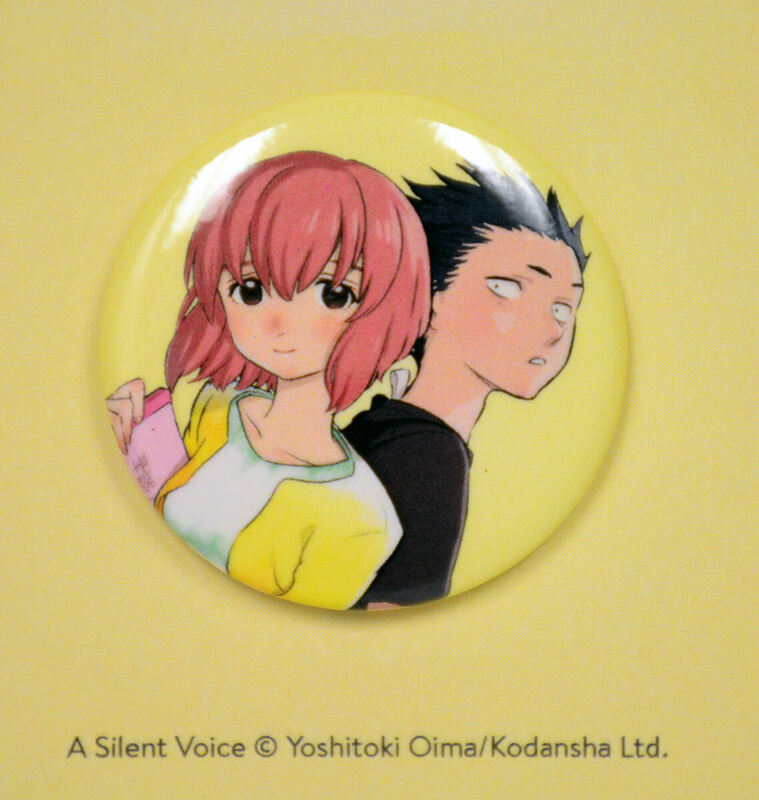 A Silent Voice the Complete Series collects volumes 1-7 in a premium box set which includes an exclusive double-sided 10 x 15" poster and a replica of Shoko’s communication notebook. Features story and art by Yoshitoki Oima. 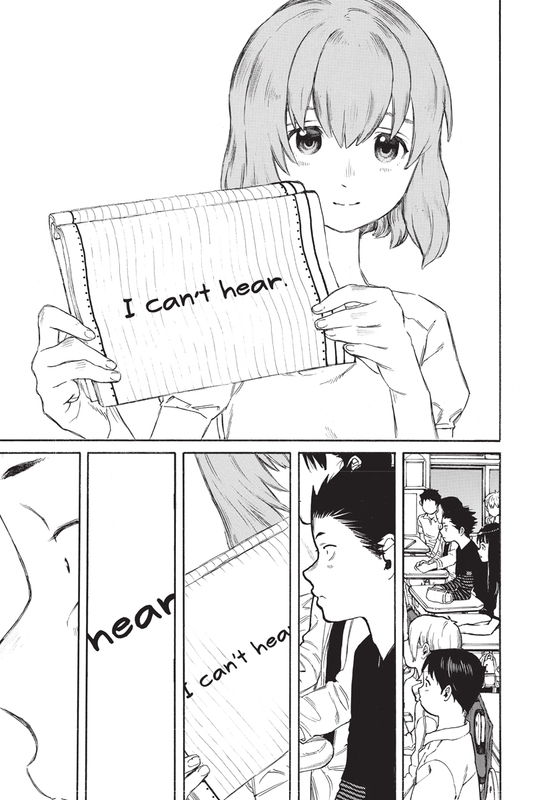 The acclaimed, bestselling manga about a girl who can’t hear and the boy who bullied her. Years ago, Shoya Ishida led his peers in tormenting a hearing-impaired classmate, Shoko Nishimiya. When she transfers schools, Shoya finds he has gone from bully to bullied, and is left completely alone. 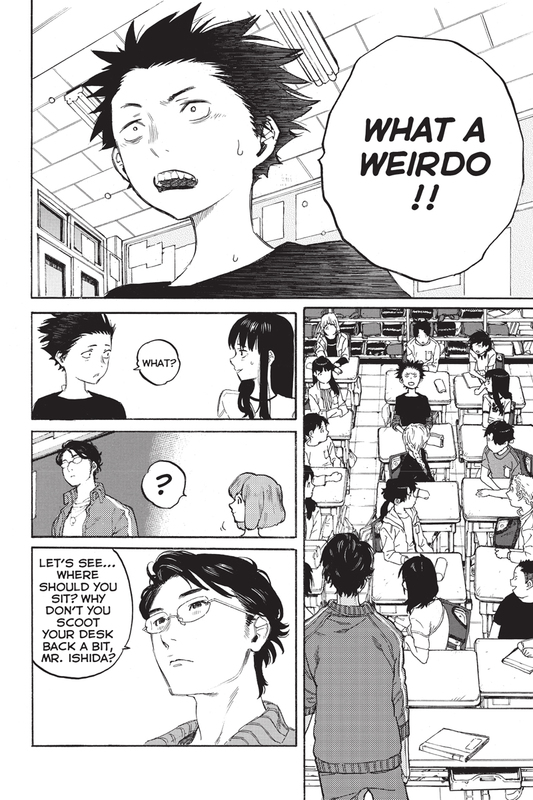 Now Shoya struggles to redeem himself in Shoko’s eyes and to face the classmates who turned on him. This emotional drama is one of the most critically-acclaimed manga of the decade, earning an Eisner nomination and accolades from teachers and the American Library Association. I have this manga and read all the books. This story every one should relate to . because way thing are today there is a lot of bully in every day life. And the anime is very good to. The manga and the anime will make you cry so much here and there. A+ go buy it will not go wrong. This manga's reputation probably speaks for itself, so I won't try to spend long describing just how splendid of a work it is. Kodansha Comics presents Yoshitoki Oima's manga in all 7 volumes, contained in a very nicely constructed display box. Each side displays different art, with a particularly nice watercolor-style illustration on the back. Included in the box is a collectible "communication notebook" resembling main character Shoko Nishimiya's, also featuring a preview inside of Oima's next work, "To Your Eternity". Finally included is a small fold-out poster, one side depicting Shoko and family at a festival, the other depicting another promotion for "To Your Eternity". This box set is rather expensive, but I highly recommend it for serious fans of the manga. I guarantee it will look lovely on your shelf. One of my favorite manga series in a convenient, well built box set! Definitely recommend to anyone that likes touching stories. I've reread this numerous times, and I am still moved by the story. Man this is such a great story. I wish the movie could’ve fit everything. If you coming from the movie, the manga is definitely worth a read though I wish it was a little longer. Just one more story arch and I would been fully satisfied. The box set though is really pretty to look at any angle. The little poster is very great too. It's amazing, but what really grinds my gears is that there's no romance! Get it you wont regret it. I loved this manga, the characters and the story, everything come together in a very heartfelt story about personal growth, forgiveness, acceptance, love and friendship. really good box! comes with a 2 sided poster of a silent voice and to your eternity, shokos notebook and all 7 volumes. the box's art work is beautiful and I really recommend getting it! !